The idea behind the Random Hall is simple – take everything that is incredible about the sound of a Hall and then add elements that you cannot achieve in the physical world. Original, unmistakable, the Lexicon Random Hall is in a class of its own. 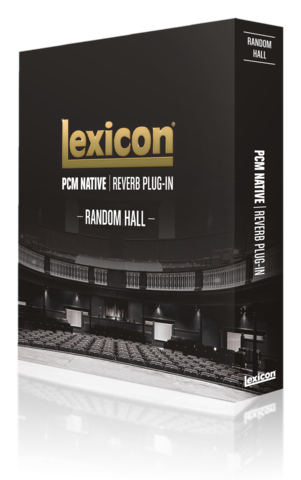 One of the classic Lexicon® reverbs, the Random Hall algorithm is similar to the Hall algorithm. However, its reverberators change over time in controlled, random ways to avoid the buildup of tinny, grainy, metallic, or other colorations. The modulation can be noticeable and is often a desirable effect. One of its charms is a bit of irregularity in the decay. 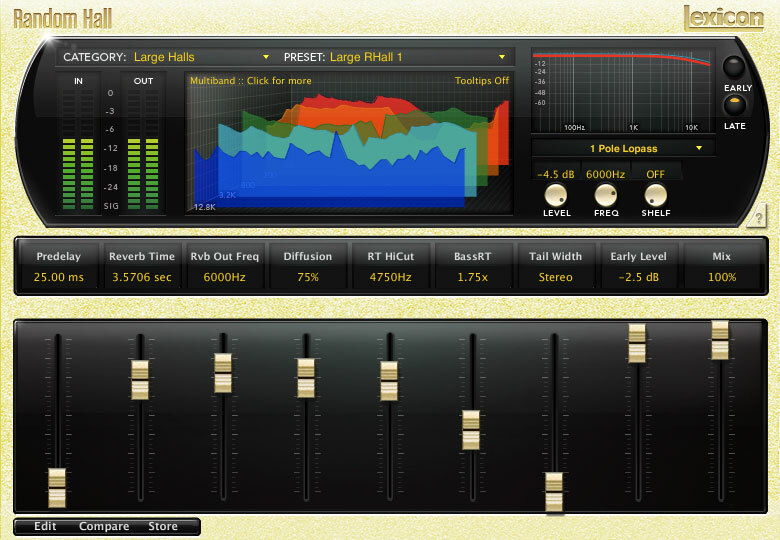 The Random Hall plug-in, much like the Hall plug-in, is well suited to complex sounds like orchestral music, but can serve very useful for contemporary music as well. Halls are the most traditional reverb sounds, and of course, are based on a large man-made environment. Some halls are built specifically for performance, but many are just large spaces, which in the real world can lead to varied results. They first entered the digital domain with the EMT 250 followed soon after by the Lexicon 224. If a digital reverb couldn’t accurately represent a hall, it would be a nice, but limited tool. Lexicon has mastered the intricacies of this 3-dimensional space and enhanced the experience with layer upon layer of configurable options. With the Random Hall, we’ve taken it a step further, allowing your mixes to move into completely uncharted territory.